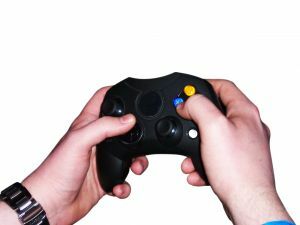 "My research also says that while motion controls can enhance your connection to the game, we aren't necessarily to the point where home gaming technology makes the player feel immersed and surrounded by the game," Dr. Kevin D. Williams, the study's author said. "That feeling is still very much a subjective human-driven process rather than an objective technology driven process." "What needs to be clearly stated is that motion controls did increase hostility in the players, but only in a small amount (after a single 10-minute exposure to the game). My study doesn't look at long term implications either, so that small increase in hostility could be short lived," Williams said. "My concern as a parent would be where the industry is heading. If these controls impact hostility, even in a small sense now, what safeguards or ethical policies will the industry enact to make sure that as technology advances smaller impressionable children are protected."